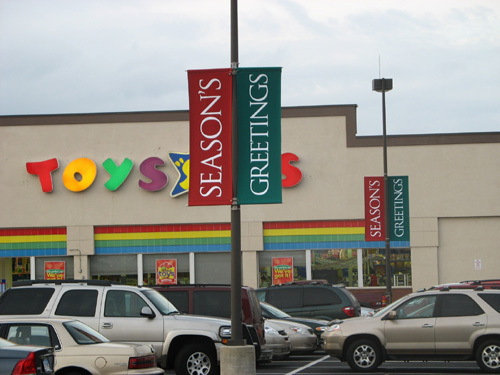 To see Examples and Photos of other Types of SIGNAGE, such as: EXTERIOR SIGNS, INTERIOR SIGNS, VEHICLE LETTERING & WRAPS, TRADE SHOW DISPLAYS & SIGNAGE, Click on the Desired Category Link Listed Above. 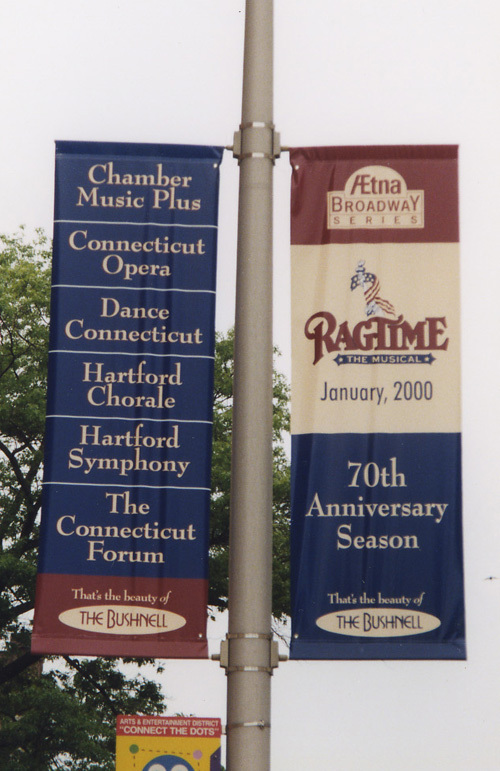 Yush Sign has been Designing, Fabricating and Installing Custom Made, Banners and Flags of all Types Since 1954. 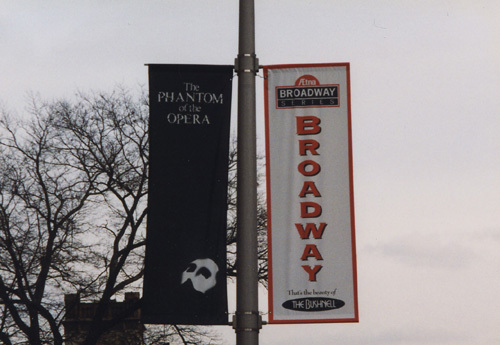 Photos Below Show a Few Examples of Custom Made, Avenue, Street or Parking Lot, Light Pole Banners that we Have Produced. To See Our More Extensive Photo Collection of Custom Banners of All Types, Click on the Navigation Link " Banners & Flags Overview" on the Left. Why not let us Design, Produce and Install one or more for you. 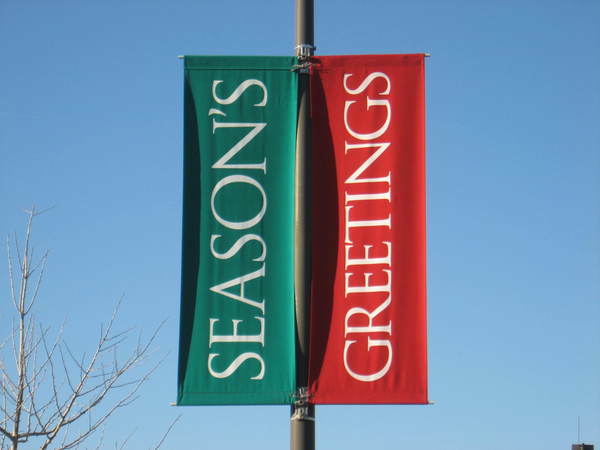 THE BEST WAY to buy a sign is to explore our Web Site to get ideas, see our work and then call 860-289-1819 and speak to one of our Sign Professionals who can guide you in defining and satisfying your needs. We Design, Fabricate and Install a Wide Variety of Signs listed throughout this Web Site. If you do not see a particular type of sign you are looking for, Please Call 860-289-1819. Yush Sign has an accomplished design and engineering team to help execute whatever type of sign or signage program you are looking for.